Revenue in the Video Games segment amounts to €1,020m in 2019. Revenue is expected to show an annual growth rate (CAGR 2019-2023) of 5.5%, resulting in a market volume of €1,266m by 2023. The market's largest segment is Mobile Games with a market volume of €670m in 2019. User penetration is 35.5% in 2019 and is expected to hit 40.5% by 2023. The average revenue per user (ARPU) currently amounts to €18.10. Reading Support Revenue in the Video Games segment amounts to €1,020m in 2019. Reading Support The Video Games segment is expected to show a revenue growth of 6.7% in 2020. Reading Support In the Mobile Games segment, the number of users is expected to amount to 46.3m by 2023. 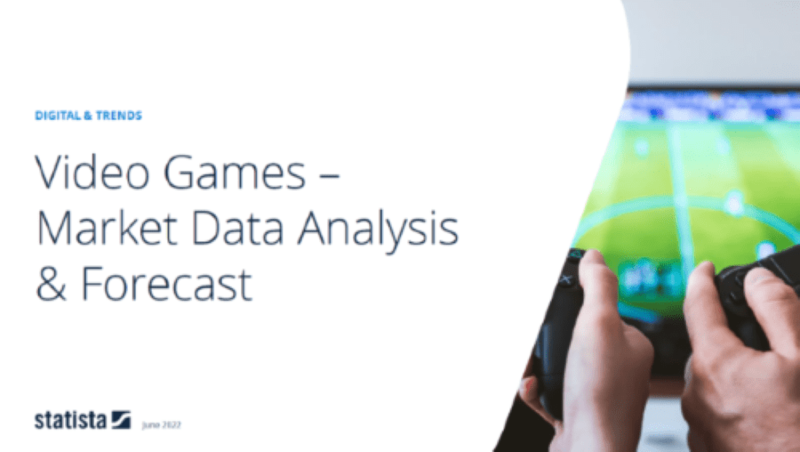 Reading Support User penetration in the Video Games segment is at 35.5% in 2019. Reading Support The average revenue per user (ARPU) in the Mobile Games segment amounts to €18.10 in 2019. Reading Support With a market volume of €20,178m in 2019, most revenue is generated in China. Reading Support With a rate of 54.6%, the user penetration in the Video Games segment is highest in United States. Here you can find more studies and statistics about "Video Games".